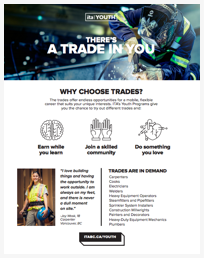 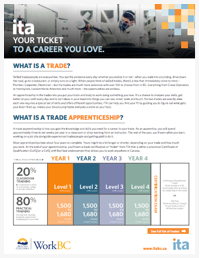 A 2-sided colour handout that defines a trade, explains the trade apprenticeship, and a full trades listing. 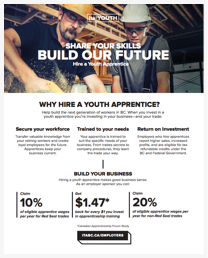 A 2-sided colour handout that answers the question “Why become an Employer Sponsor?” Send this to a company that might be a good fit for your students. 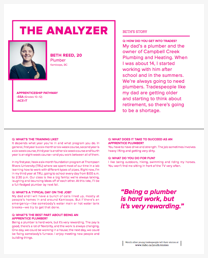 Multi-page colour booklet featuring interviews with youth apprentices, program news, and local school contact info.